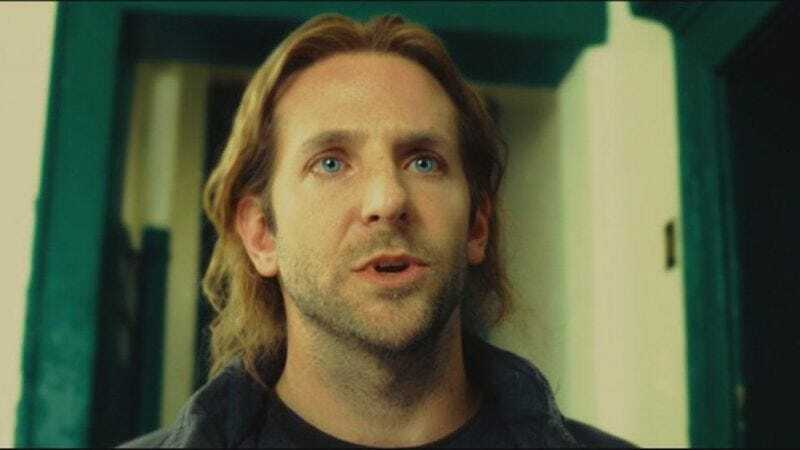 When last we checked in, the TV adaptation of the Bradley Cooper film Limitless was optioned by CBS, propelled along by the seemingly open-ended nature of a story about a man who takes an experimental drug, becomes super smart, and ends up running for the U.S. Senate. Now, it seems that the show will be just like a bunch of other shows as Deadline reports that the series will have the structure of a police procedural. Picking up where the film left off, the Limitless pilot will have protagonist/smart guy Brian Sinclair coerced into using his genius-level skills to solve weekly cases for the FBI, again suggesting that criminals might want to stop committing acts that can be solved in only five days. Neil Burger, who also directed the film. will helm the pilot, and the series will be executive produced by Cooper, Roberto Orci, and Alex Kurtzman, whose scripting of the last Star Trek film proved that they are capable at twisting established properties into ill-fitting formats. In other pickup news, CBS has also ordered two comedy pilots, one from former Modern Family executive producer Dan O’Shannon and the other from comedy scribe Tad Quill. O’Shannon’s untitled comedy follows a group of friends and family at three different times in their lives—basically, Modern Family but with time periods instead of families. Quill is exec-producing Angel From Hell, about two women, Amy and Alison. The show’s description says that when Amy “enters Allison’s life and claims to be her guardian angel, they form an unlikely friendship and Allison can’t be sure if Amy is an angel or just nuts.” Clarence from It’s A Wonderful Life couldn’t be reached for comment.